Black base card with numbers and letters cut with the sizzix eclips though ecal. Sentiment printed from PC and layered onto base card. 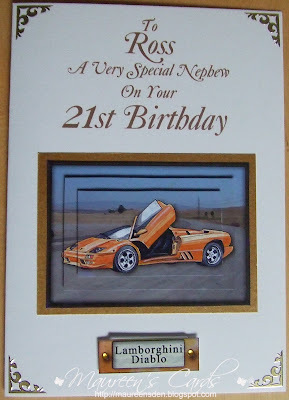 White base card with sentiment printed directly onto the card. Not sure where I got the decoupaged topper from but I thought it was cute. I layered into red mirror card and added a little bow from my stash. I have put some peel of borders and corners around the base card. White base card with the decoupage from 'The Big One' CD. 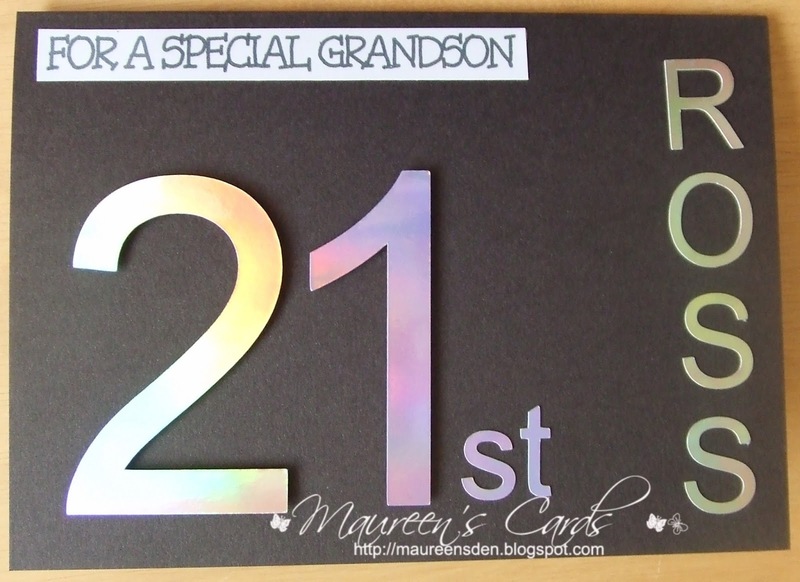 Sentiment is printed directly onto the card and I have added some peel-off corners and gems. White base card with Layers and Glasses from Marianne Dies. Sentiment printed directly onto card. Peel-off heart corners. Little bow from my stash. 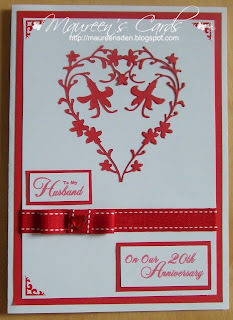 Cream pearlised card with the oval cut with the Sizzix Eclips. The sentiment is printed directly onto the back of the insert. the flowers and bow are from my stash. 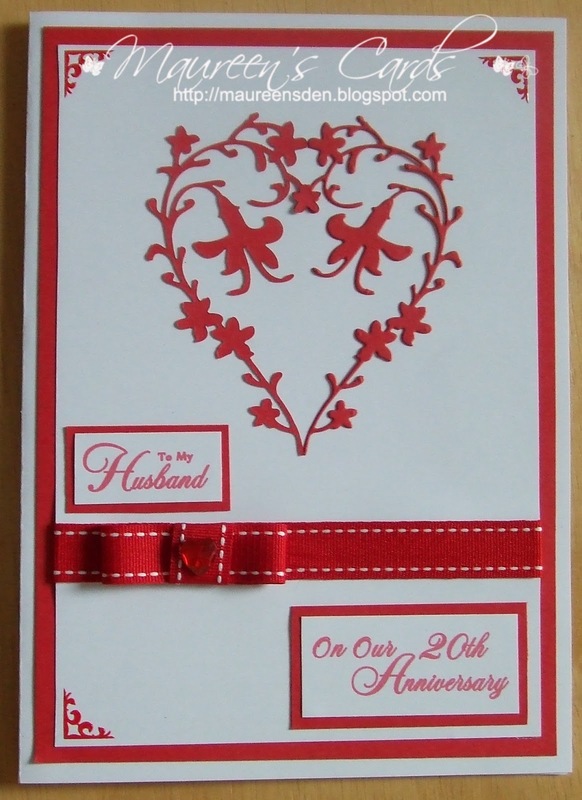 The heart shape is a Nellie Snellen Die and I printed the names directly onto the card before I cut the shape out. I have added a couple of gems from my stash.